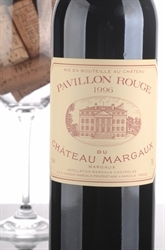 Lovely aromas of berries, light vanilla and cedar follow through to a medium-bodied palate, with fine tannins and a slightly austere finish.--'95/'96 Bordeaux retrospective. This is an estate where the quality of the second wine is more than a simple afterthought. 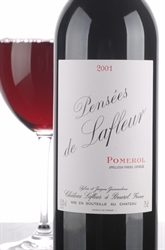 Starts out slightly herbal but then turns to some very good berry and chocolate character. 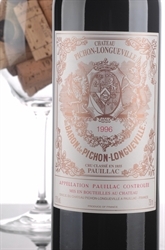 Pichon Longueville Baron's 1996 has turned out to be even better than I thought from cask. Fully mature, this wine shows some pink at the edge, a sweet nose of herb-tinged cherries and black currants intermixed with dusty notes and new oak. Just now emerging from a very clumsy dormant period, Pichon-Lalande’s dense ruby/purple-colored 1986 still has the color of a 4 or 5 year old wine. Somewhat austere but very successful for the vintage, Pichon-Lalande’s 1988 has a dark garnet color and an intriguing nose of compost, earth, black currants, licorice, and weedy tobacco. 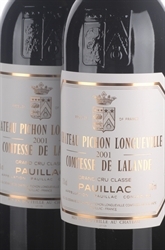 Approaching full maturity, Pichon-Lalande’s1989 has a deep ruby/plum color with some lightening at the edge. Pichon-Lalande's 1993 is not as fruity and soft as I expected.